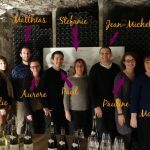 Our dynamic Cassis-Team is all ears! We are always ready to help you discover the blackcurrant with its many secrets. Each member of our team will be soon presented to you on our page. See you soon!